Hey everybody! 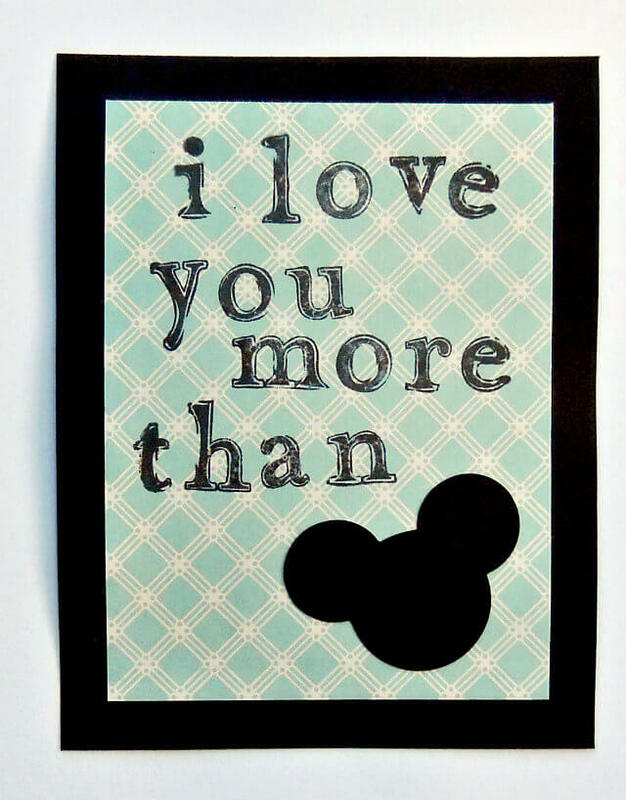 Steph here from Crafting in the Rain again to share another quick Disney craft. In just a few more weeks it will be time for flowers and boxes of chocolates. 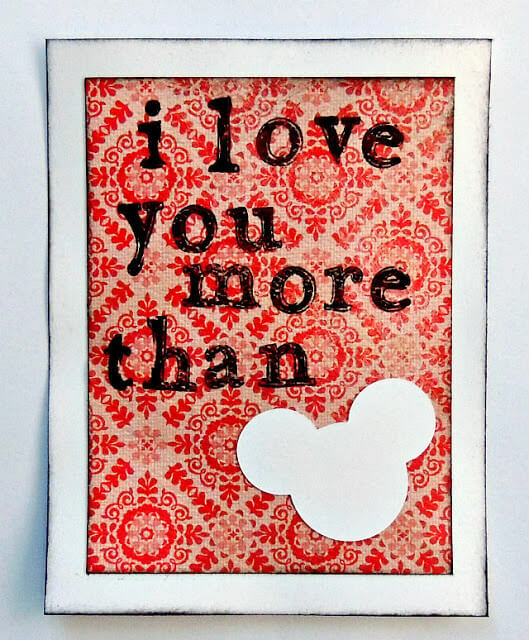 But if you really want to let someone know how much you care for them, this card ought to do it. Now that's serious, isn't it! Here's how you can whip up your own in no time. Basically all you have to do is glue the layers as shown. Put the colored paper in the middle of the white paper and stamp or write out message. Glue the Mickey shape in the corner. Add a note to the back side and it's ready to go! So, who will earn one of these this Valentine's Day?